How October has come and gone is beyond me, but it was a great month, and truthfully, I'm a little sad to see it go! 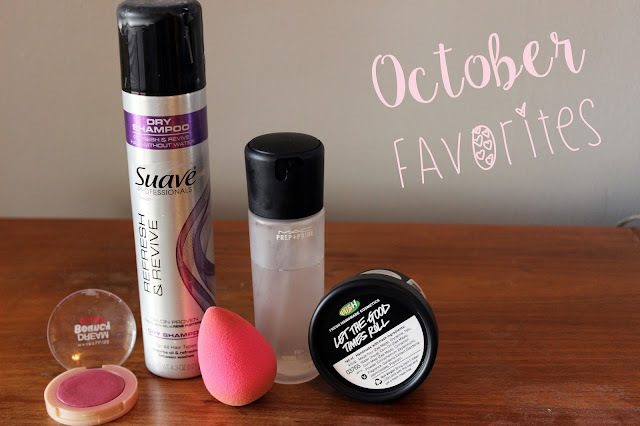 The five products that made a favorites post this month are all so so great - I can hardly begin to put them in an order, so... I won't. 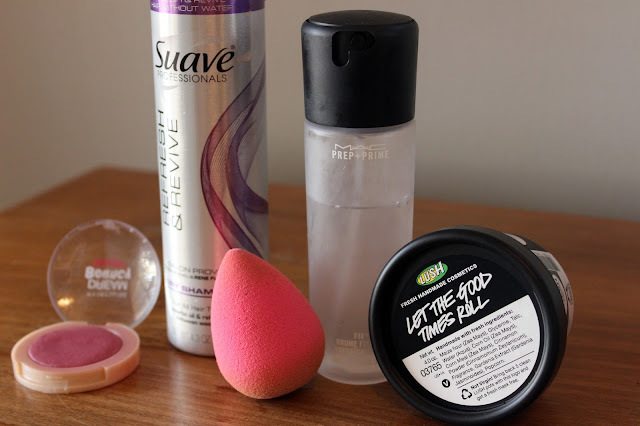 I'd highly recommend all of them, and would love to know what you think of these products too! 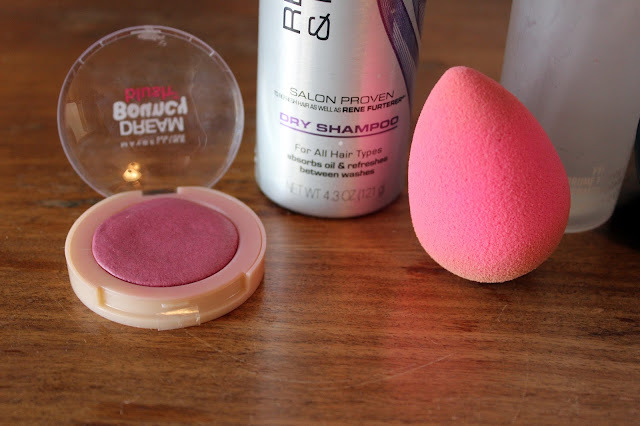 Maybelline Dream Bouncy Blush in Plum Wine: I think this may have made a favorites post before? I rediscovered it again this month and fell back in love. This blush looks ridiculously natural when applied with a light hand, don't let the color fool you. 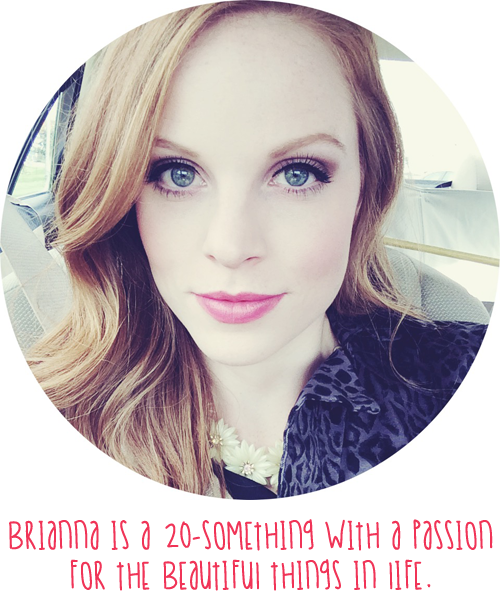 It's the perfect "just in from the cold" flush to the cheeks, it has great lasting power... I love this stuff. Suave Refresh & Revive Dry Shampoo: This stuff is good... real good. Smells fruity, soaks up oil and makes my hair look fresh. I'll do a full review on this soon. BeautyBlender: The hype is real with this makeup tool. All you do is dampen it, and then apply your foundation. It makes my skin look flawless and provides even coverage that doesn't look cakey. They're expensive, but I will always have one of these in my beauty arsenal. MAC Prep + Prime Spray: I like to set my makeup with a spritz of a setting spray to help everything look more natural, not powdery and dry. This is one of my go-to setting sprays. The smell is nostalgic for me, and reminds me of my wedding, and it does a good job of keeping my makeup in place. I'll always repurchase this. Lush Let the Good Times Roll cleanser: Chances are you've heard many people rave about this. For good reason! It smells like cookies, has all natural ingredients, and is an awesome exfoliating cleanser, gentle enough to use every day. It smells so good, I want to eat it every time I use it! It looks like cookie dough, and all you have to do is break off a little hunk of it, massage it in your hands with some water to turn it in to a paste, and slather it all over your face. Amazing stuff. What are your favorites this month? Let me know!